Elvis was the man. He is one of the most sought after individuals the world has ever known. He LOVED firearms and was a strong advocate for our Constitution - the Second Amendment included! Elvis was the KING. He was unstoppable. He can never die, he is immortal. He lives on forever. One day, Elvis FIRED his handgun at his television set because he did not LIKE what was on. 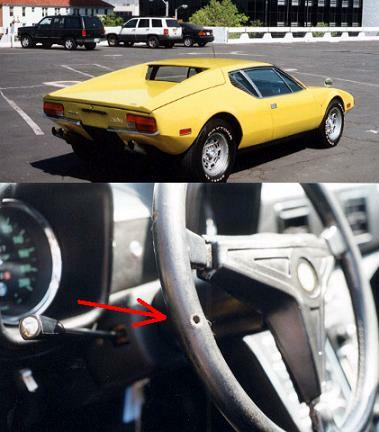 Another time, Elvis fired his .45 caliber handgun AT his Canary Yellow Pantera sportscar. See photos below. I am Agent Elvis because it sounds cool and also Elvis was donned an honorary agent of the US government by president Nixon, so there's some truth behind the name. When Elvis was drafted into the United States Army in 1958, he could have easily weaseled his way out of it due to his high profile and celebrity popularity. He did not even consider that as an option, he joined up, and served his country with honor. To this day, Elvis is one of, if not THE, world's most recognized name. People of every generation discover Elvis as if he is just debuting in the mid 1950's.